NVIDIA has released a set of graphics drivers for Unix/Linux systems. R346.16 brings new OpenGL features, improvements and bugfixes. 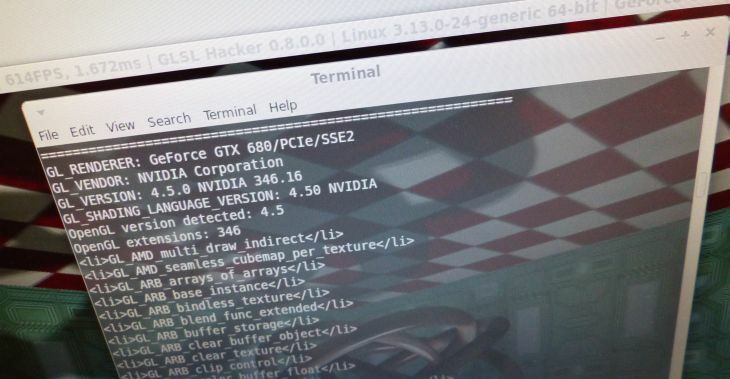 This driver exposes OpenGL 4.5 API for capable hardware. Added the ability to increase the operating voltage on certain GeForce GPUs in the GeForce GTX 400 series and later. Voltage adjustments are done at the user’s own risk. See the documentation on the "CoolBits" X configuration option in the README for details. Removed the NVIDIA Unified Memory kernel module, nvidia-uvm.ko, from the driver package on 32-bit architectures. Added the nvidia-settings option –gtk-library to allow specifying the path of the directory containing the user interface library or the path and filename of the specific library to use. Added the nvidia-settings option –use-gtk2 to force the use of the GTK+ 2 UI library. Updated nvidia-installer to install a file in the system’s xorg.conf.d directory, when a sufficiently new X server is detected, to cause the X server to load the "nvidia" X driver automatically if it is started after the NVIDIA kernel module is loaded. Improved the performance of nvidia-installer by enabling the use of parallel make when building the NVIDIA kernel modules. The concurrency level can be set with the –concurrency-level option, and defaults to the number of detected CPUs. Nvidia 343.36 driver, older 343 branch so no OpenGL 4.5 support like 346 branch.